Carter signed a reserve/future contract with the Saints on Wednesday, Rod Walker of The New Orleans Advocate reports. Analysis: Carter spent a couple weeks late in the regular season on the Saints' practice squad and will now have the benefit of a full offseason with the team. The Grambling State product didn't see any game action in 2018 after going undrafted last April. Carter was released from the Saints' practice squad Saturday, Nick Underhill of The New Orleans Advocate reports. Analysis: Carter signed with New Orleans' practice squad earlier in December after being waived/injured by the Redskins in August. The 25-year-old will look to latch on elsewhere for the offseason as the regular season finishes up Sunday. Carter (undisclosed) signed with the Saints' practice squad Wednesday, per the NFL's official transaction log. Analysis: Carter was waived/injured by the Redskins in August and subsequently reached an injury settlement with the team after going unclaimed on waivers. Carter (undisclosed) was waived by the Redskins with an injury settlement Friday, John Keim of ESPN.com reports. 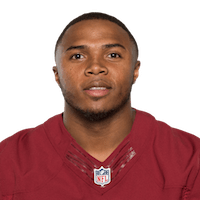 Analysis: Carter was waived/injured by the Redskins last week with an undisclosed injury, and now that he's been waived off injured reserve, he will be free to sign with another team if deemed healthy enough. Carter (undisclosed) was waived/injured by the Redskins on Saturday, Kimberley A. Martin of the Washington Post reports. Analysis: The undrafted free agent out of Grambling State has been dealing with an undisclosed injury, keeping him from competing with Kapri Bibbs and Byron Marshall (ankle) for the fourth spot on Washington's RB depth chart. Carter's versatility could land him on a practice squad when he returns to full health, though the nature of his injury is unknown at this point. There are no videos available for Martez Carter. Click here to view all videos.